Spike Africa's - San Diego Dining Dish! San Diego Restaurant Week is going on until Sunday! So there is still time to check out some of San Diego's best places at a deep discount. For our second Restaurant Week experience, we checked out Spike Africa's, located in the Gaslamp Quarter. We were so impressed by their offerings at the Taste of Downtown, we wanted to experience a full meal there. The restaurant is casual, but not loud. 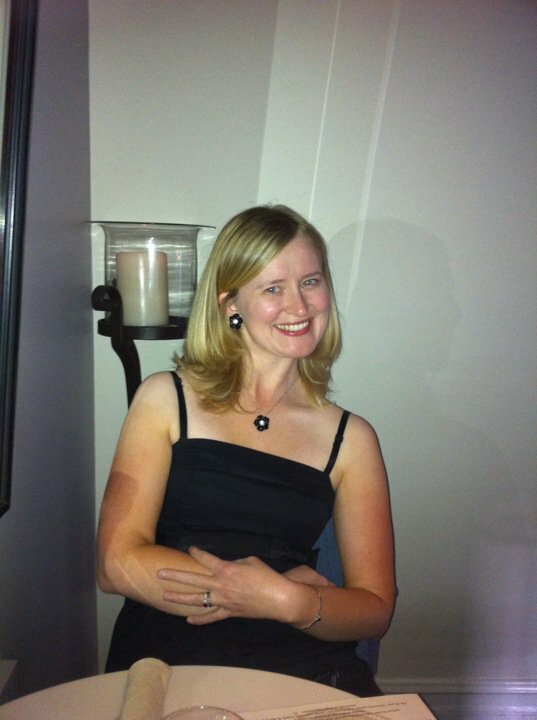 It's perfect for a date night or a nice family meal, as a children's menu is available. For Restaurant Week, the menu is $30 for three excellent courses, $40 for a premium main course. 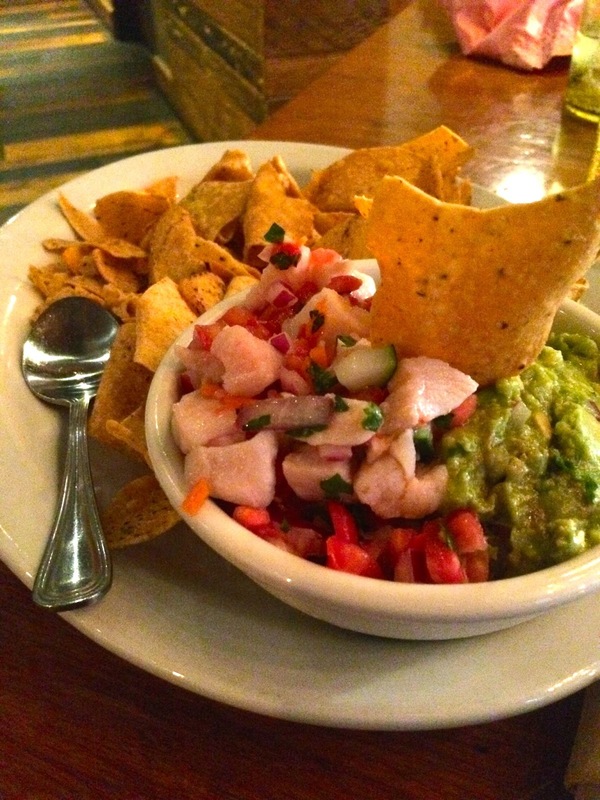 To start, we chose the fresh fish ceviche and the New England clam chowder. The ceviche was just as delicious as it was for the Taste event, with a portion of guacamole. It was also huge! This is easily a good appetizer to share with the table. The clam chowder was scrumptious! Some of the best that I've ever had, and I've been to some renowned places for this soup. It doesn't photograph so well, so forgive me for omitting a photo, but it's on the must-try list if you visit. 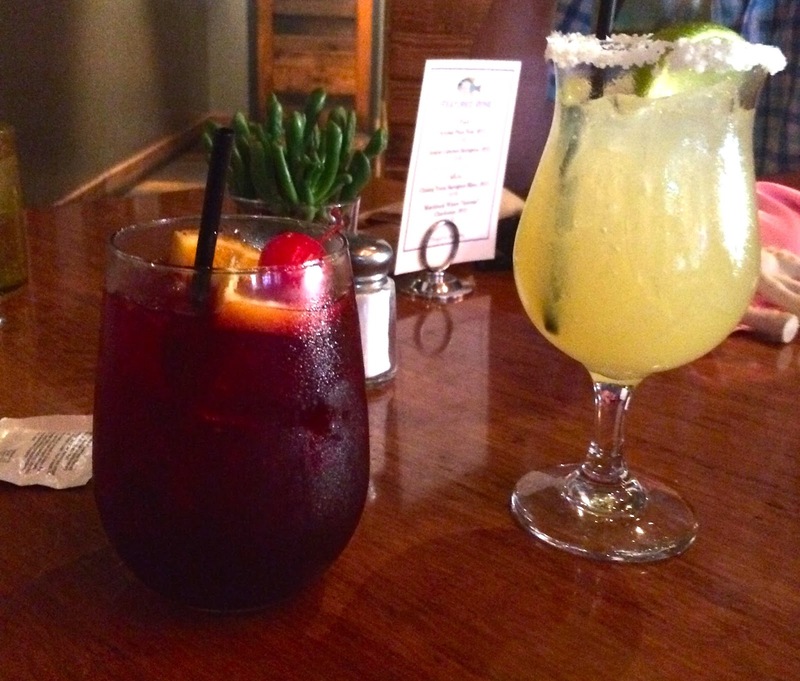 We also took advantage of the happy hour going on and tried a delicious margarita and hibiscus sangria. The drinks were not the best I've ever had, but not bad either. The presentation was pretty! 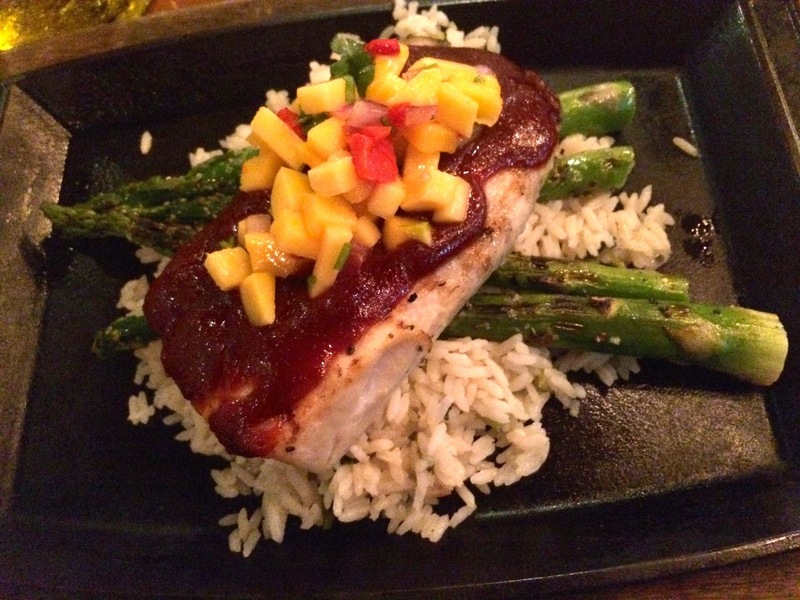 For our main courses I chose the grilled mahi-mahi with mango barbecue, and Steve went with the shrimp and bacon mac and cheese. I would never think of putting barbecue sauce on a fish, but the result was quite tasty! The portion was very generous, and far more than I could eat in one sitting. The macaroni and cheese was very rich, as a gourmet mac and cheese should be. Delicate pasta shells encased in bread crumbs, swimming in a creamy cheese sauce with medium shrimp and bacon gives it a robust flavor. Very, very good, and again, huge! This is definitely a dish to order when you are hungry! The end to the feast was two orders of their signature butterscotch pudding. I have only had this dessert at Spike Africa's, but let me say...it's worth the entire visit! 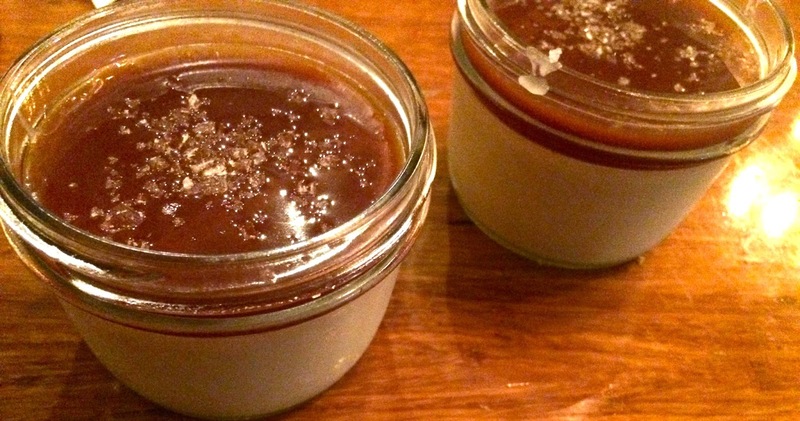 Rich and creamy, sweet and salty, with a crunchy salted caramel top, this pudding is worth blowing your diet. It's so rich, however, it's probably best shared -- or not! I love it, and will return if only to eat this delicacy. My one gripe -- coffee would have been wonderful with this dessert, but once she had taken our orders (for Restaurant Week, you pick everything at the beginning to expedite service), our server was nowhere to be found.